The Almach Association, or Almach, is a Mercurial governmental entity with major population centers in Shelf, Angessa's Pearl, Vounna, and Relan, and extending throughout the nearby region. Almach is primarily a military union designed to protect the constituent systems from an attack by SolGov, although some argue that it gives large constituents an unacceptable level of influence over their neighbors. Almach also conducts shared trade and diplomacy missions, but differs from a confederacy by its lack of legislative powers. All contributions to the Association are voluntary. Most constituent systems are organized as direct democracies, although it also counts workers' unions, republics and even theocracies among its members. 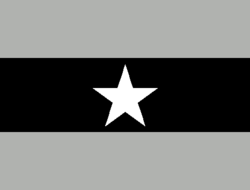 Almach's millitary forces are given broad autonomy to respond to unfolding situations as they will, with a heavily decentralized strategic model unique to the Mercurial government. The various states of Relan typically consider themselves the earliest settlement in the Almach Rim region, established by a risk-taking mining firm. This is a fairly common history among the various small colonies of the Rim, but the existence of the Almach Rim as a distinct cultural region can be traced back to the entrance of Shelf to the region in 2412. Shelf helped connect the various small mining colonies by acting as a huge trade fleet, and also brought the region much-needed intellectual capital in the form of freed positronic indentures. The presence of Shelf helped spur democratic reforms and revolutions in the region, as well as equal rights for the positronic laborers that constitute almost 40% of Almach's population. Almach's isolation from the rest of the galactic community, including SolGov, and their close connections to their neighbors, encouraged the growth of what is considered the Almachi culture. This culture generally favors direct democracy and worker's rights, supports the right of secession (although most settlements in the region remained part of SolGov until early 2562), and most famously takes a uniquely progressive stance towards many transgressive technologies banned in SolGov. Shelf's "Closed Lips" policy on the Five Points reflects Almach's general disregard for the fundamental element of SolGov's technological policy. Extensive brain and body augmentation became commonplace among the few organic natives to Shelf by the turn of the century, and spread to nearby colonies shortly thereafter. The Association existed as a secret agreement between the governing bodies of Shelf, Angessa's Pearl, and Aetolus since at least 2555, but only became a formal entity following the secession of the latter two in February 2562. Each member organization of the Association sends a single representative, together with any necessary or helpful staff members. Representatives are required by charter to have been chosen by popular referendum among all sapients in the organization, although the Association lacks the funding or domain to ensure that these referendums are truly free of all influence. Beyond the requirement for popular approval, there are no conditions on who may become a representative, even drones. Diplomats and generals are appointed by consensus among the representatives, and are usually considered to be hired specialists rather than government officials. In theory, each representative's assent is equally important to forming a consensus. More practically, debate in the Association is often directed by the representatives of the "Big Three" states of Angessa's Pearl, Shelf, and the Free Relan Federation, and their fairly extensive staff. Agreement between these three is usually sufficient to constitute consensus, and they can be seen as something akin to political parties within the Almach Association. Constituent organizations may chose not to contribute to efforts they disagree with, but in the case of small worker's groups this is rarely a capital issue. Notably, the Association does not police the actions of its constituents, only collectively organizes their economic, diplomatic, and military power. Unlike SolGov, member organizations need not be formal states. Any organization is free to nominate a representative and request membership into the Association, as long as they fit within its mission scope of "protecting the political autonomy of the Almach Rim and promoting morphological freedom and Mercurialism". The Association frequently refuses to accept potentially dangerous constituent organizations, such as small secessionist outposts deep in SolGov territory. There is no formal distinction between different grades of constituent, although informal divisions exist. An organization may unilaterally withdraw from the Association at any time by ceasing to send representatives and material, but once accepted are free from any real risk of being removed. The Almach Association essentially runs off of donations. It lacks the power to tax and relies on voluntary contributions to function. In practice, material support is usually used as a bargaining chip to sway consensus one way or the other. This prevents the Association from being truly destitute, but it still runs on a shoestring budget for most functions other than patrols of the Almach-SolGov border. The Association also accepts conditional grants and donations from anywhere in the galactic community, usually in the form of Skrellian Qerr'xeu cryptocurrency. This contributes to rumors of involvement from criminal organizations that have, so far, remained unproven (if more than likely based in truth). Almach lacks any sort of internal policing function, and its consensus model falls apart readily in the event of a war between constituents. This is unlikely to occur while Solar revanchism continues to threaten them, but is often forecast by pessimistic political theorists as the ultimate downfall of the Association. The Association Fleet is a metaphorical knife to be aimed at SolGov at all times. Contributed to and commanded by constituent interests, the elements of the Fleet vary wildly in composition, construction, and doctrine. Generally, the Association has adopted more unconventional tactics in their standing doctrine than SolGov, a necessity given the minescule size of their fleet and population compared to the latter. While sometimes deployed to protect trade convoys from the heavy Vox presence in the uninhabited region between the Rim and the outer Skrell colonies, the Fleet's primary purpose is discouraging a direct attack by SolGov. The "Big Three" have wildly different war doctrines, with each contributor forming a conceptual millitary unit. Formalists: The doctrine espoused by the Free Relan Federation. Formalist military units tend to be organized along similar lines to SolGov and other major traditional militaries, although the Formalists remain willing to use unconventional weaponry and tactics.Though its youngest veterans are in their seventies, Relan has significantly more veterans than the rest of the Rim, which remained largely undisturbed during the Contact War. The Formalist school seeks to leverage the experience of these and other veterans while they still live, focusing on arming and training the popular militia and forcing any aggressor to fight a protracted station-to-station war. Formalists generally subscribe to an "If it ain't broke, don't touch!" philosophy, while other schools find the Formalists' tactics insufficient for an asymmetrical war. Telops: Shelf's military doctrine, focusing on the undeniable industrial advantage of nanotechnology-using nations over more traditional industrial methods. Telops seek to reduce sapient involvement in direct combat as much as possible, preferring teloperated or autonomous weapons platforms. They argue that this allows them to defray the Association's population disadvantage and build up a force of seasoned veterans without the risk of losing them to a lucky shot. Detractors criticize this strategy's reliance on bluespace communication infrastructure that makes extending supply lines beyond the territory of Almach nearly impossible and indicative of Shelf's general reluctance to commit to a defense of Almach. Ascendants: The doctrine both of Angessa's Pearl and Aetolus. This strategy focuses on exploiting what they refer to as the "natural superiority" of the Association's constituent species compared to the baseline human. Heavily-augmented and chemically enhanced humans, along with nearly-unkillable Promethean bioweapons, the enhanced tactical skills of a high-grade drone system, and the famous, skilled, and rumor-laden "Fortunates" of Angessa's Pearl together can out-fight almost any human ground force. Ascendants cite the successes of Unathi Breacher units during the Contact War as proof of their doctrine's puissance, while detractors both question its ethics and its practical benefit in any conflict where orbital superiority matters. This page was last edited on 2 September 2018, at 13:27.